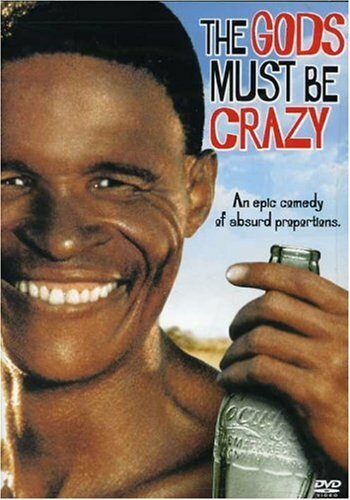 Have you ever watched The Gods Must Be Crazy, the hilarious South African-made film featuring an encounter with a tribe of Kalahari Bushmen? The tiny, beautiful Bushmen are outside all the time. None of them need glasses. I have spent most of my adult life outdoors and have always enjoyed perfect vision. I’ve diligently performed Taoist exercises for the eyes for about thirteen years. In the last three years, with more time spent indoors sitting at a computer (we didn’t own one until four years ago) I’ve experienced some weakening in my near vision. So, I continue to investigate ways to maintain and improve my eyesight. I don’t wear glasses and I’m now past the half century mark in chronological age. The following words are excerpted from http://curezone.com/blogs/fm.asp?i=967955 For those interested in more detail click on the link. I wish you a lifetime of excellent vision. WHAT CAUSES WEAK EYE MUSCLES? Tests on thousands of people over the years have proven beyond doubt that in most cases weak vision is caused by strain on the eye muscles. Eye strain causes tense eye-muscles; tense muscles connected to the eyeball, eventually distort the shape of the eye. This is a fundamental principle in eye improvement training: By relaxing the tension in the eye muscles and strengthening weak eye muscles, weak or defective eyes can definitely be made strong again. The liver sends energy, nerve impulses and blood to the eyes. Therefore, a clean blood stream, and a healthy functioning liver, heal and strengthen the eyes. However, if the colon and liver is toxic and blocked with wastes, the blood becomes impure, health declines, and eyes will become weak, drab, with heavy dark circles around them. Eyes cannot be treated as an unconnected isolated organ. 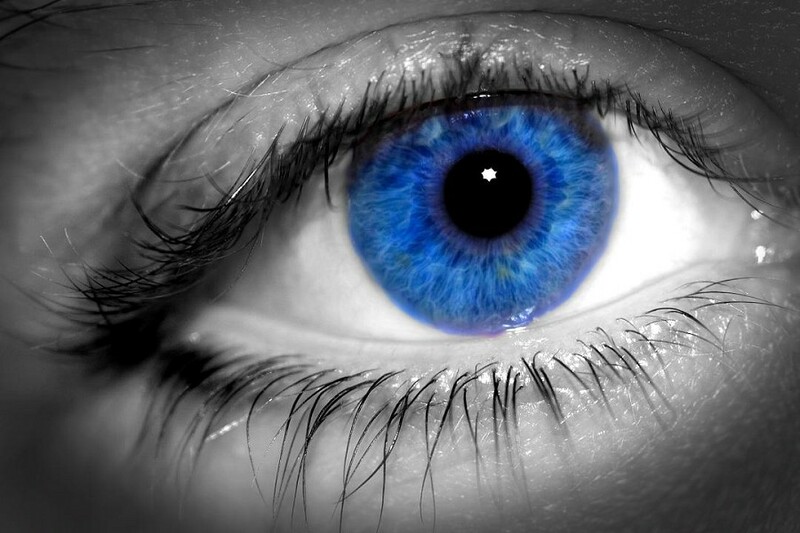 The blood stream and nervous system is directly connected to the eyes. There is an intimate association between the liver, blood and eyes. When the body cells and liver becomes weak, toxic and unhealthy, the eyes reflect this weakened condition. Do you want healthy vibrant eyes? Then you must build up your health and vitality through diet, exercise and eye training methods. Of prime importance is wholesome. unprocessed foods and thorough bowel elimination, two to three times a day. This is an important eye habit you can practice while reading, at the office or watching television. This exercise keeps the eye muscles flexible and stops them from getting into a frozen position. Simply look up from your close-work every five minutes and gaze (focus) at a distant object for five seconds. This exercise prevents eye-muscle cramping and also relaxes the eye muscles. Dr. Sasaki, a Japanese Eyesight Specialist states that you can add twenty years to your life if you do not read while eating, and go outdoors after meals for at least 30 to 60 minutes. Why does reading and close-work during and after meals impair the eyesight? Close work draws blood to the eyes, instead of being used for digestion, thus causing lack of nutrients to the eyes, weak eye muscles and cloudy vision. Going outside after meals provides the necessary oxygen to properly digest and assimilate food. The body is a flowing, dynamic energy machine operating on Cosmic Chi, Earthly Chi and Food Chi. When the body is ill or tired, the eyes also become tired and blurry. Weak bodily energy weakens the entire system, especially the Liver, which is directly connected to the eyes via the acupuncture meridians. Reading during illness or fatigue weakens the focusing eye muscles. It is best to read in daylight, with the sun or outdoor light coming through the window onto your reading or working material. Or better yet, do your reading or close work outdoors when the weather is clear and pleasant. Dr. Vogel recommends not to read at night before bed or in bed, as this can further weaken vision, cause bloodshot eyes, fatigue and insomnia. Holding print to close to the eyes is a major cause of myopia. Gaze into the distance as often a possible. Many myopics can improve their sight by this one important eye habit. Thirty minutes is about maximum time the eyes can handle without strain or fatigue. Read for awhile, then get up and walk around, stretch or go outside for a breath of fresh air. Look into the distance. Take a deep breath, bend over and rub your face, forehead and around the eyes, exhale and stand straight. Inhale again and bend backward, then to each side, and exhale and relax your gaze. Close your eyes and place your palms over your eye sockets; and think or visualize black velvet or a large black dot. This palming method was taught by Dr. Bates. Deep breathing, face and head rubbing, bending, twisting and palming all help to refresh the brain and eyes, imparting increased energy and clear thinking. Make it your ‘refreshment’ break instead of coffee or a soft drink. Strain is the major cause of imperfect eyesight. Straining to “see” any object, far or near, in which you are enable to see clearly, places a heavy strain on the eye muscles. Practice looking at things ‘effortlessly and relaxed. If you cannot ‘see’ an object clearly, do not strain to see it. Either get closer to the object, use brighter lighting, or temporarily wear glasses. Here are a few other causes of eye strain: Long exposure to cold wind directly into the eyes and bright artificial lights, (especially fluorescent lights). Watching television or movies excessively strains tired weak eyes. To strengthen, heal and relax your tired and strained eyes look at nature’s outdoor bounties: green trees, green grass, mountains, beautiful flowers, flowing rivers, blue-green oceans, the open sky, the stars at night, the moon, the sun at sunrise or sunset–nature herself. Dr. William Apt, a leading eye specialist in the mid-1900s, recommended the Lemon Juice Eye Bath. He stumbled upon this secret from a 105 year old man. He instructed Dr. Apt to “put three or four drops of lemon juice in an eye cup with purified water and wash the eyes with it daily for about 20-30 seconds with each eye. Sunlight is “food” for the eyes. It thrives on it. It is nourished and healed by its warm radiating energy. Go outdoors in the sunlight everyday–walk when you can, work in the garden, read a book, gaze into the distance, enjoy sports–whatever you enjoy, do more of it in the life-giving sun and fresh air. Coal miners have observed that mules kept in a dark coal mine, eventually lose their sight. The best time to enjoy the sunshine is in the morning before 11:00 am or after 3:00 pm. Nature’s Sun produces 10,000 watts of natural light; indoor bulbs are a weak 100 watts in comparison. One of the major causes of poor eyesight in this so-called “modern society” is staying indoors during daylight hours. Sunglasses shield our eyes from the life-giving sun. Wearing sun glasses constantly can lead to photo-phobia (fear of light), or light sensitivity. Wearing sunglasses in sunlight keeps the pupil expanded because the shaded lens does not allow light to enter. This is what weakens the eyes. If you are driving into the sunset or sunrise, use your sunglasses to reduce glare, otherwise leave them off.